By Joseph Hogue, CFA Leave a Comment - The content of this website often contains affiliate links and I may be compensated if you buy through those links (at no cost to you!). Learn more about how we make money. Last edited September 1, 2017 . Crowdfunding as a buzzword gave way to peer lending last year but that doesn’t mean the crowd revolution doesn’t still have room to run. More than $1,000 a minute was pledged to projects on Kickstarter alone and 2015 is sure to bring more growth. With the massive amount of money floating around the crowd, it’s easy to lose sight of the fact that only about 40% of projects successfully meet their funding goal. Don’t let that statistic disillusion you from raising the money for your dream project. Over years of reviewing and coaching campaigns, I’ve found that the vast majority of campaigns fails come down to three steps that were neglected or not well understood. 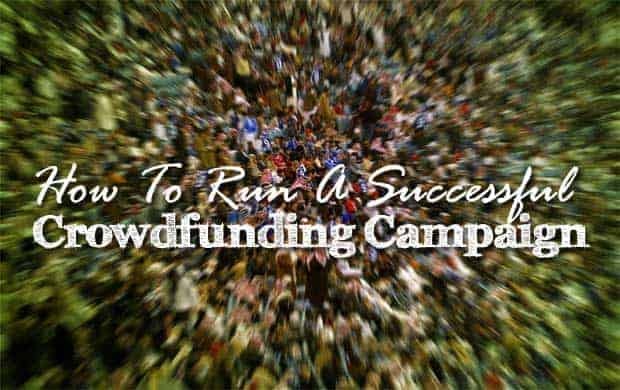 Finding out everything you can do in these three areas can mean all the difference in reaching your crowdfunding goal. Crowdfunding has made it simple to raise money for nearly every type of business, social cause or personal project. You can start a campaign on websites like Kickstarter in less than a week and with no budget. In fact, the ease at which people can start a campaign is the reason why so many go unfunded. Too many people put their campaign online with very little thought to planning or why they really need the money. Even if it’s for a social project, crowdfunding is just like any other business endeavor. If you fail to plan…plan to fail. Pre-launch crowdfunding is not complicated and can be summarized in three stages: research, outreach and community building. Crowdfunding reached $5 billion in 2013, nearly double its prior record. Early estimates for 2014 are for an increase to nearly $10 billion in total crowdfunding with almost $9 billion in donations to rewards-based projects. During the research phase, you are going to be checking out all the previous campaigns that were similar to yours. Were they successful or not and how much did they raise. You should contact as many of the campaign managers as you can for their input. They might even be able to connect you with people passionate enough about the cause to donate. During the outreach phase, you need to set yourself up as an expert in the field related to your cause or project. This doesn’t mean getting your PhD. but just reading everything you can and maybe even starting a blog on the subject. Posting at least once a week is going to help build an audience and help get you on Google when someone searches for keywords related to your cause. Actively contribute to forum groups related to the industry and talk to other experts about becoming part of your crowdfunding team. During the final community building phase of pre-launch, you are going to be actively contacting people you met in outreach. Talk to them about the upcoming campaign and what they can do to be part of the team. You should find a mix of people that want to contribute financially and people that want to volunteer on the campaign. Beyond the three steps to build your pre-launch community, you will need to develop all your marketing material for the campaign. A lot of people want to get through their crowdfunding campaign on the most minimalist budget, spending nothing on materials or support. If you’re campaign is to raise money for a business or a cause for which you feel strongly, spend a little money on marketing materials and a video. 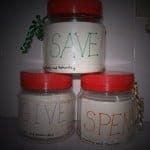 You will be able to reuse these materials after the campaign and the professional look will help you raise more money. Your goal for pre-launch should be to raise at least 5% of your ultimate funding goal and to find three people that are willing to volunteer on the campaign. Campaigns that raise no money before their launch have an average success rate of just 15 percent. For campaigns that raise 5% of their goal, the success rate jumps to 80 percent. Another reason so many campaigns fail to reach their funding goal, old school ideas on marketing. Too many people dig out their old college texts on marketing and get to work on the four P’s for their campaign. If you don’t remember what the four P’s are, you’re actually better off. The problem is that raising money in the crowd is not like traditional business. Except for equity crowdfunding or for the coolest tech gadgets, people donate to other people in the crowd. Sure, it helps to have a good reward but that will never be enough. You have to reach people on an emotional level and become more than just a click on their computer. In crowdfunding; it’s personal, not business. Start off your crowdfunding campaign page with a video. Yancey Strickler, cofounder of Kickstarter, reports that projects with videos have had a success rate of 54% while those without a video have only been successfully funded 39% of the time. Most of us do not consider ourselves great actors or particularly photogenic but you absolutely must be in your crowdfunding video. It doesn’t have to be a Hollywood production, just a two- to three-minute video that hits on the major emotional themes of your campaign. Throughout the video and your campaign page, tell your story. Tell where you started and what led you to your passion for the cause or product. Even if you are raising money for a business product, it fulfills a need for people and you can use that need to evoke emotion. Find ways to make your story relatable to others. Use graphic images throughout your campaign video and page. You can source images from Google and Flikr, just make sure you have the right to use them by searching for those listed as “creative commons” usage rights. You should personally reach out to all your supporters through a phone call. The internet has made it too easy to share and connect over “social networks” and we’ve lost sight of the power behind a personal call. Connecting with supporters on a personal-level will help convert them from financial supporters to full-blown cheerleaders. Converting people into chearleaders for your campaign, or the inability to do so, is the final reason most campaigns fail. While more than 77,000 projects have been successfully funded on Kickstarter, more than 121,000 projects failed to meet their goal. If you don’t want to get lost in a sea of nearly 200,000 crowdfunding campaigns, you need an active network of supporters to help get the word out. I blame traditional marketing again for the fact that most people just want to reach their “audience” with their crowdfunding campaign. In crowdfunding, it is about more than getting your campaign in front of an audience, it is about building a community of supporters that will push your campaign to its goal. Communication is the key to converting an audience to a community. You need a strong communication strategy, built from the bullets below, to bring people on as part of the team. Contact all your supporters by phone within a day of their donation. You will also want to add anyone that you know to be particularly passionate about the cause or product to this list as well. Thank them for their support and make sure you hit on the emotional points of your project and what their support will mean. Follow up with an email the next day, again hitting on key emotional points. Throw in a few questions about how they became passionate about the cause and ask to highlight their story to others. After a few days, contact them again by phone with a small favor. It may be as simple as feedback on the campaign or their insight into the cause. The idea is to bring them into the campaign as something more than just a financial supporter. Get to know them and you might find they have valuable professional skills that might be useful to the campaign. After talking with them enough, you can start to give supporters bigger tasks and more freedom. Some in your community will be so passionate that they will be independent marketers while others may need more guidance on how to help. Crowdfunding reached $5 billion in 2013, nearly double its prior record. Early estimates for 2014 are for an increase to nearly $10 billion in total crowdfunding with almost $9 billion in donations to rewards-based projects. You can most definitely crowdfund your dreams and you can beat the odds to reach your funding goal. All it takes is a little planning and a little strategy. Joseph Hogue is the founder of Crowd101, an informational blog for investors and crowdfunding campaigns. He combines his experience in private equity and investment analysis with years spent coaching crowdfunding campaigns for a unique view from both sides of the table. Last Edited: 1st September 2017 The content of biblemoneymatters.com is for general information purposes only and does not constitute professional advice. Visitors to biblemoneymatters.com should not act upon the content or information without first seeking appropriate professional advice. In accordance with the latest FTC guidelines, we declare that we have a financial relationship with every company mentioned on this site.